snack-size, frozen cookies to pull from the freezer, anytime! Your baking day just got more genius! 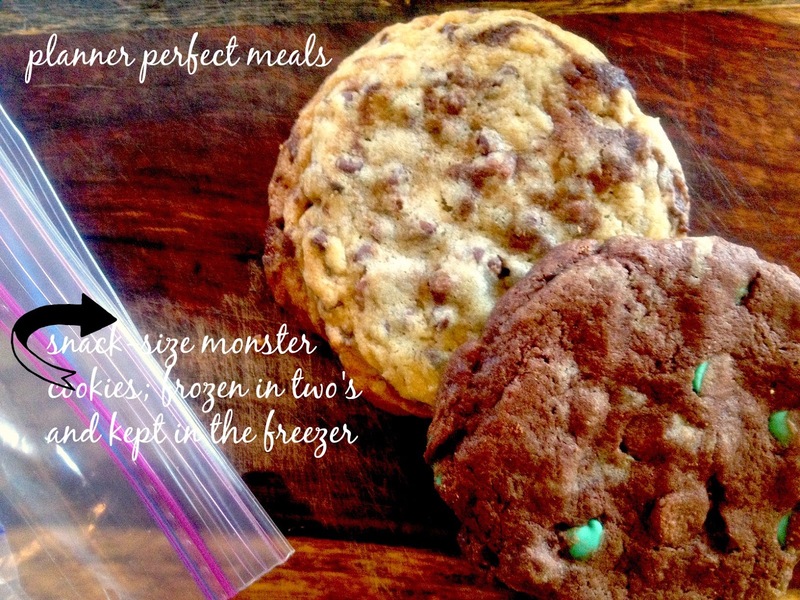 I’m continuing my series on, Feeding Hungry Boys, and I know you’re going to like this idea next: snack-size cookies to pull from the freezer anytime! 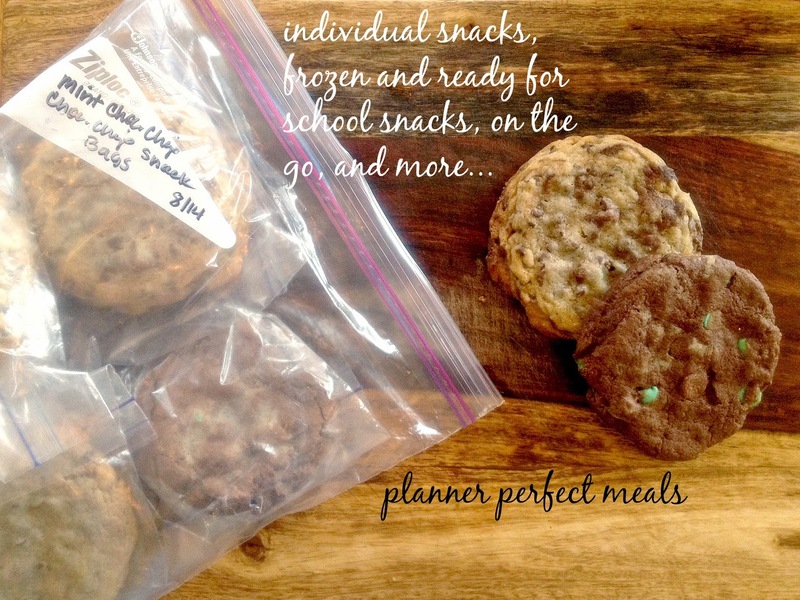 Homemade cookies, frozen in snack-size bags, to keep in the freezer for snack-time, school lunches, to pack in your husband’s lunch and a great way to control snacks! This has been the best idea I’ve had, yet! Yes, I’ve baked and froze cookies, like all the time, but not in individual bags. Since snack bags are not made for the freezer, I store my cookie snack bags in a large freezer bag and label. This way of storing your homemade cookies keeps them fresh, keeps you in control of what your family is eating and you are giving your kids your homemade treats. Can you say, MEM-OR-IES! Write this in your planners, girls, to make on your next baking day for feeding the hungry boys in your life. Check out my different cookies with their recipes to make, HERE.